This season in the Premier League starts in a few days and now of course is the best time for Antepost betting. Who will be champion of England, who will be relegated from the Premiership and who will be top scorer of the championship? What do bookmakers offer as betting options? Of course, the most interesting for betting is who will be Champion in the Premier League. Here, the two teams from Manchester are the favorites. City kept their championship squad, while United are reinforced with new recruits and expect the top scorer from last season, Robin van Persie from Arsenal to join too. Anyway, according to the bookies the advantage is on the side of City and the betting houses offer odds of 2.25 for their title. The odds for a title for United are 3.25. Bookmakers placed Chelsea as third favorite for the title. Chances for the Blues from London to become the new Premier League champions are estimated at 5.5, but we all know they took some very good players in the summer, though parted with their best player Didier Drogba. The hidden favorite for the first place this year is Arsenal. The bookies give odds of 12 for their victory in the final standings, but don’t forget that Arsene Wenger for the first time in many years was active in the transfer market. He added some really classy players to the squad. At the Emirates will play Lukas Podolski, Santi Karzola, Olivier Giroux and several other class players and the end of the transfer window is still far away. That’s why these 12 who would receive any punter who bet s on the final victory for Arsenal look very attractive. 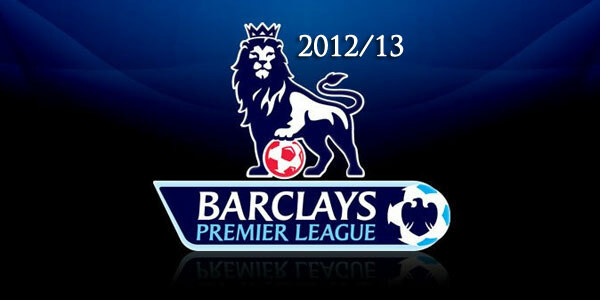 Much behind are the other teams which will compete for top places in the Premier League. For Tottenham the betting houses offer odds of 26, while Liverpool has 29. The sensation of last year, Newcastle holds odds of 151, while Everton is at 251. Premier League newcomers have the slightest chance to win the championship. Reading, Southampton and West Ham have coefficients from 5001 or for a pound after nine months you can win five thousand, if one of them miraculously wins the title. Not bad, right? Have you ever browsed a forum or blog about betting and come across a term that you can’t understand? Most likely you have. You can see that there is some valuable information, but you cannot fully understand what it is. That’s why we have explained here some betting terms, which we believe can be useful for you. If you encounter the words Chalk and Chalk player and you don’t know what they mean, then here’s the explanation. Chalk is an American term for a favorite. Accordingly Chalk player is a player who likes to bet mostly for the favorites. There are many betting strategies for this kind of game, so the word has been established as a special autonomous term in betting. If you read somewhere that the player bets on the winning team in evens, this means that the odds offered by the bookmaker are 2. In other words, when a punter bets on evens for every pound he or she will get another one. When you read or hear about Full Cover system, this means that all possible combinations are made in this system. For example, full cover five matches means that it offers a straight bet of all five matches, all possible combinations of four matches, also all combinations with three matches, with two and at the end all five matches bet on singles. If someone says he has or she played a longshot this usually means that the bet is with a very high coefficient so it is less likely to happen. For example, QPR victory against Manchester United at Old Trafford. An interesting term is the so-called Overbroke. It’s about that rare moment in which the bookmaker is at a loss after all of the bets are made for a match or round of the championship. You should know about picks and tips. These are terms about the selections of matches which are recommended by an expert and have a great chance to win. Knowing the terms in betting will not ensure you success. It will just help you to orient yourself. This is important because in the world of gambling any information is valuable. 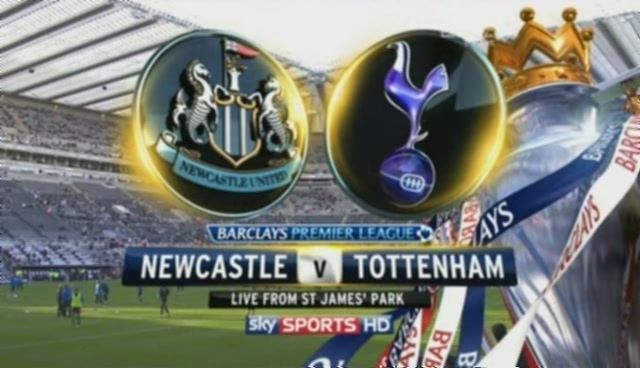 Newcastle against Tottenham is the most attractive match in the first round of English Premier League. Both teams played more than decently the last season, as Spurs ranked fourth while Newcastle one place back in the final standings. While for Spurs, it was great showing, but still expected because they had really good players in their squad, the fifth place for Newcastle was truly heroic. Now, both teams start with a hard match where Newcastle will host. What can we expect from this game? Tottenham have lost their best striker for the last year after failing to agree with Manchester City to keep Emmanuel Adebayor on loan for another year. The striker from Togo had a great season with the white from London and scored many crucial goals. He will be surely missed in this match. However, to the squad were added many new names and so far the best player from last season Luka Modric remains in the club. It should be noted that there is a new coach at the club and it is the former Chelsea manager Andre Villas-Boas. Newcastle on the other hand kept their entire team. They were quite passive on the market, but everybody in the club is waiting with bated breath for the possible return of the old top scorer Andy Carroll, who is not performing particularly well in Liverpool and has repeatedly stated his desire to come back to Newcastle. However, even without him Newcastle will still have a strong enough team for the league’s matches. For me the advantage at this point is for Newcastle. Yes, they failed to build up over the last year’s team, something that the Spurs seem to have done, but today Newcastle will not need time for fitting the new players. Something Spurs will have to do. Here is the advantage of the hosts in this match. So, I’ll bet for Newcastle on draw no bet. Bookmakers are offering odds of 1.875 for this prediction. Betting bar and restaurant "The old Octopus" welcomes you every day from 10 AM till 1 AM and at the weekends from 8 AM till 3 AM. We are headed in the Enter Learning Mall on 15 Little Park St Coventry. In "The old Octopus" you will have a pleasant time watching and betting on every sports you want. For full pleasure we have 4 pool tables and two darts machines. If you want to bet you can do it in the bar with Stan James and William Hill. What more could a real betting fan ask for?